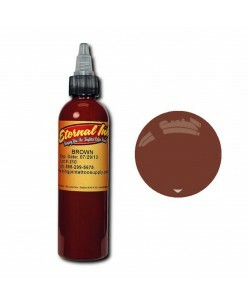 Eternal Brown (30ml.) Eternal brown is a good, bold and lasting brown that is available in a selection of the most convenient sizes to suit your individual needs and help you reduce your costs and waste materials in the process. 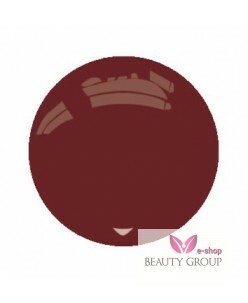 This is part of the eternal inks class primary colours range, which means you can be certain of th..
Eternal Dark Brown (30ml.) When it comes to finding the right brown you generally need to decide how light or dark you want it more than anything else; this option provides you with a darker, warmer shade of brown, which provides a good blending tone with darker colours or use in shadowing and finer details. Of course these a..
Eternal Ink bright orange (30ml.) The Eternal inks complete colours range includes this fantastic bright orange, which is high quality and carefully produced to ensure that there is a reduced risk of infection and or reaction as a result of the application of the ink while it is certain to retain the bright, bold quality of t..
Eternal Ink Bright Yellow (30ml.) Eternal bright yellow is a bold, vibrant colour which means that it provides a perfect option for details that need to stand out and can provide an excellent contracting colour to attract attention to darker areas of a design. 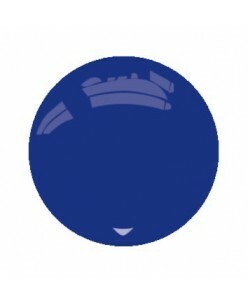 This is a high quality ink which helps to ensure that it is unlike..
Eternal Ink Caramel (30ml.) Eternal caramel is softer and more neutral than a lot of the alternative shades, making it a fantastic option for blending. 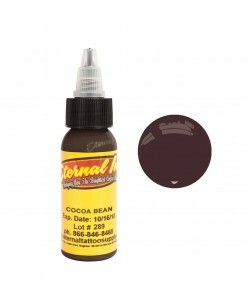 The subtlety of the colour make it an ideal option for colouring larger sections of a design without drawing attention away from the finer details or looking unnatural, but it..
Eternal Ink Cocao Bean pigment (30ml.) ..
Eternal Ink Crimson Red (30ml.) When it comes to selecting a great red the slightly cooler option of this eternal crimson red can be a fantastic decision. The ink is available in a selection of sizes, so you can be sure you find the amount you need without have to spend more or produce more waste than you would like, and of c..
Eternal Ink Dark Purple (30ml.) Eternal dark purple is a fantastic deep and cool shade that is idea for darker areas of a design, providing a strong, bold and lasting colour to compliment any skin tone. 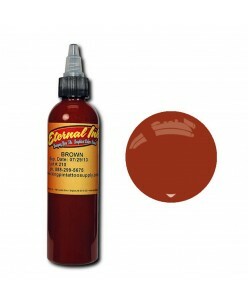 The ink is produced using a selection of the best possible, natural materials, which means that the ink itself is a non-toxi..
Eternal Ink Dark Red (30ml.) Eternal Red is a great shade for a wide variety of uses and in order to help you meet these uses we supply the inks in a wide variety of sizes, giving you the opportunity to select the size that best suits your needs regardless of what those may be, and without increasing your cost and waste mater..
Eternal Ink Deep Red (30ml.) When it comes to finding a reliable ink, one that won’t fade much over time, provides an organic and non-toxic solution to your tattoo ink needs and offers a rich, high quality colour you can’t go wrong with Eternal Inks. 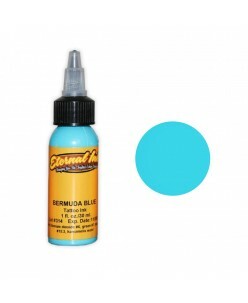 These inks are all produced using high quality, natural materials, so they a..
Eternal Ink Golden Yellow (30ml.) This is a vibrant, bold and long lasting selection for a perfect golden yellow ink, offering a high quality option not only in regards to the standard of the colour it produces on the skin but also the materials used. 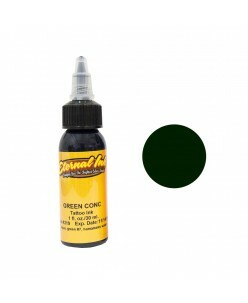 The ink is produced using a selection of the best possible natural ingredie..
Eternal Ink graffiti Green (30ml.) Graffiti Green is a popular and vivid shade that provides an excellent option in a wide range of designs. As with all eternal inks this is a high quality option, produced using a selection of the best possible natural ingredients to ensure that the end result is a long lasting, bold, non-tox..
Eternal Ink Hot Pink (30ml.) There are plenty of shades available from eternal inks, particularly the selection of inks to which this tone of hot pink belongs; the eternal inks complete range of colours. This shade of hot pink is a particularly bold and vibrant option, making it an excellent choice for drawing attention to a ..